Starbucks’ recent announcement concerning the upcoming changes to its loyalty program unleashed a Twitter storm of extremely annoyed customers. A general sentiment of being cheated abounds, loyal customers are turning in their reward cards, and the coffee chain’s claim that the changes are a result of listening to its clients are skeptically met with the reply that it might be suffering from severe hearing problems. A month after the announcement, and social channels are still abuzz with disdain. The new reward program will be implemented starting April 12. On the back of this customer revolt and its PR backlash, the company introduced last week, in partnership with JP Morgan Chase, a reloadable prepaid Starbucks Visa. The new card, which will ship out by the end of the year, will enable users to earn Starbucks points wherever Visa is accepted. The current loyalty program rewards the chain’s patrons according to the frequency of their visits, with each purchase earning a gold star. Through the new “Starbucks Rewards” customers will earn stars according to their monetary spend. The benefits for the company are obvious: the new program encourages increased spend per customers, and while coffee is the major revenue source for Starbucks, visitors may now be tempted to purchase more food, coffee beans and merchandise at the chain’s outlets. On the customers’ end, the beneficiaries’ of Starbucks Rewards will be big ticket spenders whose star earning will now reflect their true spend. But the chain’s routine coffee drinkers will be hit hard, and the same goes for the visitors for whom the local Starbucks serves the old and trusted purpose of a neighborhood cafe? : they come in daily to work, to get away, to meet friends, to spend time. These patrons, who are loyal customers in the most basic sense of the term, are also those voicing the loudest outrage. And while these customers may be spending less on each visit, in the long term they may be the chain’s best customers, those with the highest life-time value. Starbucks’ loyalty program currently has around 12 million members, who, according to the company’s CFO, already spend three times more than non-members and visit more frequently. Offending a large part of these VIPs seems like very bad strategy, which may eventually backfire as the chain’s focus on its nickels and dimes might cost it in chunks of its loyal customer base. Those using the new Starbucks Reward Math calculator to understand the impact of the company’s decision on their status report that, starting April, they will need up to 56 more visits to receive the same perks. In this age of personalization, when customers increasingly demand and receive personally tailored offers wherever they conduct business, it’s a wonder that this mammoth chain can’t come up with a loyalty program more befitting of the times. While commerce is heading full-on to customize wherever possible, loyalty programs everywhere have remained a staple of the old world’s one-size-fits-all paradigm. Starbucks is not the only brand guilty of this short-sight. Less than a year ago, United Airlines received a taste of similar customer backlash when changing its frequent flyer model from miles traveled to monetary value of tickets purchased. You might think that these companies may be able to figure out that personalization offers an opportunity to have their cake and eat it too – to tie rewards to dollars spent for those customers who will benefit from this change, while maintaining a frequency (or mileage) channel for the ones whose business with the company is based on a different model. This kind of approach will prove to be more profitable for the company’s bottom line in the short run by rewarding both types of customers and enhancing engagement across the customer base. But more importantly, it will serve to boost the enterprise’s popularity by proving that its customers are really its top priority – and that is the best policy all-over, ensuring true long-term loyalty. 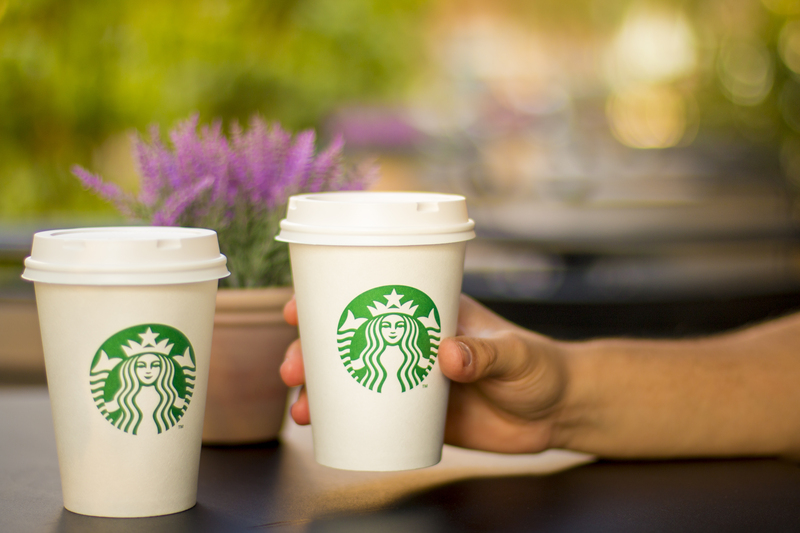 It’s not too late for Starbucks to prove that it’s really listening to its customers by offering each one the loyalty track that best mirrors his relationship with the brand. As some disillusioned customers have mentioned, if Starbucks refrains from placating its most loyal customers, it might find them nursing their injured loyalty with a cappuccino at some other coffee store.